By Andreas Haberbeck and Patricia Erigero, ©2011. All rights reserved. In 19th century Prussia and neighbouring states horse breeding was dedicated to two purposes: the production of agricultural workhorses and remounts for the army. Thanks to the development of middle weight warmblood horses, this could be combined in one operation, by using broodmares at plough while breeding from them at the same time. Warmblood breeding provided a steady source of revenue for the farmers from the sale colts which would be raised as remounts, but also lowered the overall cost of horse production because broodmares earned a living while also producing foals. This was actively encouraged by governments on the European Continent, primarily because they wanted remounts and draught horses at reasonable prices for their armies. Therefore, in many regions state studs made available good quality stallions to breeders, usually at low cost. The quality of English blood horses as improvement stock was recognized early on, and the first imports of such horses to northern Germany were made in the 1790s, before the introductory volume of the General Stud Book was published by Weatherbys and the term thoroughbred was coined. 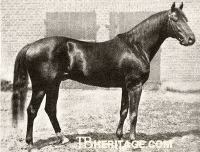 By 1842, 780 thoroughbred mares were registered in the German studbook, an astonishingly large figure for the time. 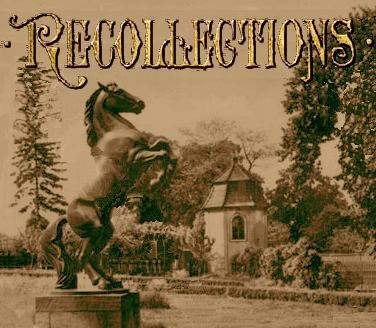 By 1810 thoroughbred stallions were used in Hanoverian breeding, and by 1841, seventy-three thoroughbred stallions were stationed at the state stud in Celle, out of a total of 207 sires. Georg von Lehndorff was born in 1833 into a Prussian aristocratic family with an estate, Steinort, in East Prussia. His family were landed gentry, and part of von Lehndorff's youth was spent on his father's thoroughbred stud in East Prussia. As was expected of someone with his background, he joined a cavalry regiment while still in his teens. He retired from the army at the age of 22, to run the farm which he had inherited from his father, while maintaining a small thoroughbred stud as a hobby. In 1860 von Lehndorff sold the farm and set up a thoroughbred stud near Berlin in partnership with his brother, spending some of his time as an amateur jockey, winning over 140 races over fences and on the flat on the Continent. He had horses in training in Prussia, Russia and France, in one year winning both the Grand Prix at Nice with Faustine, and the Grand Prix at St. Petersburg with Gaspard, the latter a horse that had dead-heated for the Cesarewitch in England before his purchase by von Lehdorff. Von Lehndorff re-joined the cavalry in 1866 and saw active service as part of the 2nd Regiment of the Guards (Lancers) in the Austro-Prussian War that year. Following cessation of hostilities he was put in charge of the Prussian state stud Graditz, between Dresden and Berlin, in Saxony. Founded in 1722, Graditz was one of five Prussian state studs, and was originally designed to produce horses for the royal stables. When von Lehndorff was appointed, it was not as significant as Trakehnen and Beberbeck, two other East Prussian state studs, in the production of half-breds, and Prussian racing was in its infancy. 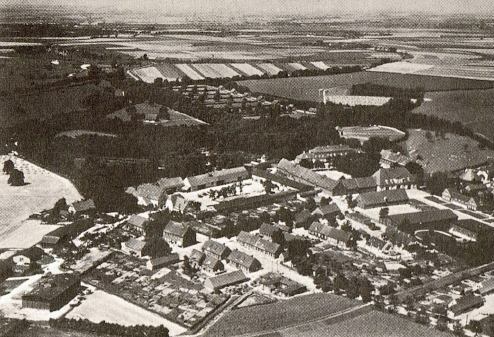 However, von Lehndorff used his knowledge of thoroughbreds to make Graditz the centre of excellence for this breed in Prussia, and managed to have all thoroughbreds which were stationed at other Prussian state studs transferred to Graditz. The intent was to breed thoroughbred stallions -- which first had to prove their worth on the racecourse -- to be sent to local depots to develop improved cavalry and artillery remounts. Von Lehndorff first visited England in 1856, when he attended the sale of Sir Tatton Sykes' bloodstock at Sykes' Sledmere Stud in Yorkshire. From that time onward, he went to England once or twice annually, first on his own account, and then as a representative of the state stud, to purchase horses. His yearly visits continued almost until his death in 1914, and he became a well-known and respected judge of thoroughbred bloodstock. The great nineteenth century English trainer Matthew Dawson "...always said that there was no one whose opinion he valued so highly as that of Count Lehndorff in all that regarded the thoroughbred..."
One sale he attended was the famous 1872 Middle Park Stud dispersal where Blair Athol sold for a record-breaking 12,500 guineas, and where the French-bred Triple Crown winner, Gladiateur, realized 7,000 guineas. Von Lehndorff bought Breadalbane, Blair Athol's younger brother, for 6,000 guineas, but the horse was not a successful stallion in Germany, and von Lehndorff quickly substituted Savernake (by Stockwell), whom he had purchased privately from Lord Ailesbury for 3,000 guineas. Savernake was later resold to the Duke of Brunswick, for whom he got Nickel and other good winners. Other English stallions purchased in these earlier years included Marsworth, who turned out to be very successful with half-bred mares and can still be seen in Trakehner pedigrees; and Trumpeter, Lollypop, Delphos, and St. Gatien, all of which were disappointments; and the Australian stallion, Carnage, who proved to be a useful stallion. Von Lehndorff had better luck in France, and his 1878 purchase of the French-bred Chamant (1874), who had won the English Two Thousand Guineas, proved to be pure gold for German breeding. Chamant was, in von Lehndorff's opinion, "a regenerator of the German thoroughbred." Another French-bred stallion secured by von Lehndorff, Flageolet, bought a decade later, also had an impact on German bloodstock. During his almost fifty-year tenure with the state studs, von Lehndorff personally selected numerous well-bred mares in England for export to Prussia. Many were, as part of the governmental program, auctioned off to private breeders after they arrived, with the intent of developing a national breeding program. Others, such as the English-bred Pulcherrima (1873, dam of three classic winners in Germany), a small filly with no racing credentials but an impeccable pedigree, were brought to Graditz. After several years in a private German stud, the English-bred Alveole (1889, by Crafton) the dam of high-class winners and of the great broodmare Antwort, also went to Graditz. These mares, and numerous others selected by von Lehndorff, became the modern foundation of the German stud book. In 1881 von Lehndorff's book Horse Breeding Recollections was published, an English translation of which came out two years later. In it, he outlined a strategy for selecting successful stallions and broodmares -- soundness (above all), pedigree, some kind of racing success. A chapter in the book was devoted in-breeding and line-breeding, one of the first published accounts to attempt an objective assessment, by examining the extent of in-breeding in successful stallions and mares, mostly English-bred. 1910 Union-Rennen winner Wandersmann (Ninus - imported Warsop, by Carbine), bred and raced by Graditz, held by Graditz's English-born trainer, Reg Day with jockey Frank Bullock in the black and white stripes of the state stud. Surrounded by noteworthy German breeders and owners; the bearded von Lehndorff, with hands on hips, to the right. True to von Lehndorff's stud strategy, Wandersmann, who had proved himself on the racecourse, was later a stallion at Trakehnen, and got Gimpel, a member of the 1928 Olympic gold medal winning German team (all cavalry) in dressage; Wandersmann is still seen in Trakehner pedigrees through daughters. With a limited budget while he was director of Graditz, he was not always able to secure successful racemares for the state, but invariably selected mares whose sires, and -- most importantly in his opinion -- whose dams were good winners. 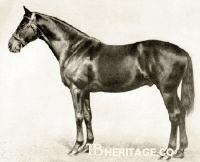 Pulcherrima (1873), by Epsom Derby winner Beadsman, and out of the great racemare Formosa, was an example of such a mare, and in Germany she produced three classic-winning sons, and another colt that became influential in the development of the Trakehner. In 1887 the Emperor appointed von Lehndorff Oberlandstallmeister, the equivalent to the English Master of the Horse and of all government studs. Von Lehndorff accepted the post on the condition that he be allowed to continue direct management of Gradtiz. By then, the national black-and-white stripes had been carried by numerous horses on many continental racecourses, notably Baden-Baden, where the best French, German and Austrian horses met on comparatively "neutral ground." Graditz-bred horses were so successful on German racecourses, that private breeders eventually banded together to either disallow Graditz horses from racing at their meetings or to impose incredibly onerous weights on successful Graditz-owned runners. Once von Lehndorff secured sovereignty over the entire government breeding program, he convinced the Minister of Agriculture to loosen the purse strings, and he was finally able to spend large amounts to purchase high-class mares and stallions, primarily from England, for the state studs. In this latter period, Derby winner Ard Patrick and his half-brother, the 1897 Triple Crown winner Galtee More, were purchased for Graditz. However, no thoroughbred import was as influential as Dark Ronald (1905), who was purchased for the princely sum of £25,000 by Burchard von Oettingen under von Lehndorff's direction in 1913. Himself a leading sire five times in Germany, Dark Ronald was also a sire of sires, whose sons had an incalcuable impact on German breeding of both thoroughbreds and warmbloods. Graditz produced its first German Derby winner with Potrimpos (By Chamant and out of Pulcherrima) in 1886, and would go on to produce eleven Derby winners until 1945, seven of which under von Lehndorff's direction. 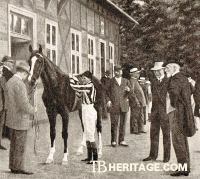 However, while winning races was an excellent indication that the stud produced good thoroughbreds, by being in charge of the country's general horse breeding programme von Lehndorff's ultimate goal was the production of first class sires for the state studs, which included the famous East Prussian stud Trakehnen, home of the Trakehner horse. His efforts in the development of cavalry horses were recognized, sometimes with envy, throughout the world, and Graditz was an obligatory stop for military horse breeders from as far away as America. Georg von Lehndorff died on 30th April 1914, three months prior to the outbreak of World War I. The nations of Europe, England, and even America and Argentina -- where England sent its remount representatives to purchase horses wholesale for the conflict -- sent hundreds of thousands of horses to this war, in which an estimated six million died in all theaters -- in battle, and from disease, exhaustion and starvation. The equine populations of all nations suffered, but none more so than those from continental Europe, and many bloodlines were lost in Germany, France, Austria-Hungary, and other states where the fighting took place. It is ironic -- and a blessing -- that World War I, with its increased reliance on mechanization, more deadly artillery, poison gas, and trench warfare, effectively signalled the end of the use of the cavalry horse to which von Lenhdorff devoted so much effort. But the surviving bloodlines von Lehndorff developed in the state studs took on new life in succeeding decades, in the production of military mounts presented in national and international competitions in dressage, over jumps and across country. Those that survived the "liberation" of eastern Germany and Hungary -- where all the principal state stud depots were located -- by the Soviet Union in World War II, became the source of the many German warmblood breeds that dominate current international events. Von Lehndorff's measure of what comprised a good military horse -- one whose thoroughbred sire had demonstrated unequivocal success on the racecourse -- also led to the development of a highly successful thoroughbred breeding program that established long-lived thoroughbred stallion lines and female families whose descendants can be seen among the best race horses today. In his lifetime, Georg von Lehndorff had been made an honorary member of the British Jockey Club, a rare distinction, and of many other countries' jockey clubs. His influence on German thoroughbred breeding is inestimable. © 2011 Thoroughbred Heritage. All rights reserved.